Carrie Underwood, who is slated to portray Maria in the upcoming three-hour live broadcast of The Sound of Music on NBC, now has a leading man for her performance. True Blood star Steven Moyer has been cast as Captain Georg Von Trapp. The Sound of Music will be broadcast on Dec. 5. 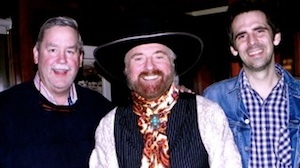 Pictured (L-R): Red River Entertainment’s Chuck Rhodes, Michael Martin Murphey, and Murphey’s producer, Ryan Murphey. Singer-songwriter Michael Martin Murphey will perform a benefit concert for the Fiona Rose Trust for Osteogenesis Imperfecta on Friday, Sept. 20 at Two Old Hippies in Nashville. For more information, visit twooldhippies.com. 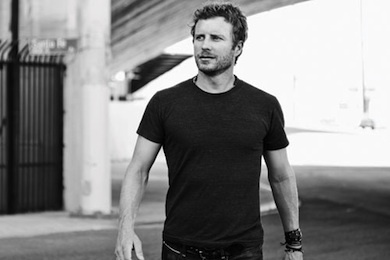 Dierks Bentley has partnered with Country radio stations nationwide to release the official lyric video for his current single, “I Hold On.” Fans can visit 120 radio station websites to watch and share Bentley’s first-ever lyric video, which includes memorable images pulled from Bentley’s own photo collection. To see the video, visit tweematic.com. Lisa Matassa performed the national anthem for one of the singer’s favorite hometown MLB teams, the New York Mets, as they faced the Atlanta Braves recently. The game was held at Citifield in Flushing Meadows, N.Y.
Pictured (L-R): Greg Gibson, Lisa Matassa, Jerry Layne, Alan Porter, Hunter Wendelstedt. 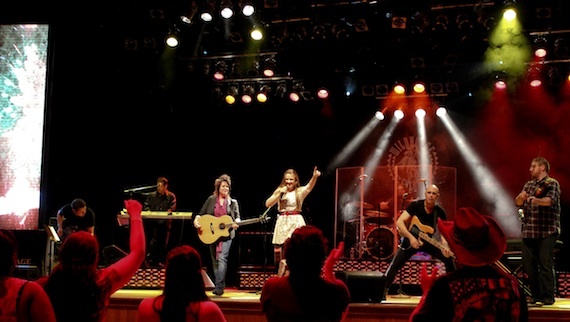 Lizzie Sider performed recently at Nashville’s Wildhorse Saloon. The 15-year-old South Florida native penned her debut single, “Butterfly,” with Jamie O’Neal, Lisa Drew and Jimmy Murphy; its corresponding video has received more than 1 million views on YouTube. Lizzie Sider performs at the Wildhorse Saloon.